Consult with MoldPro LLC and find out how we can help prevent mold from forming in your home. Mold takes three things to grow: a spore, a food source and moisture. Spores exist everywhere, almost all buildings are made of a food source (wood, drywall, carpet) and moisture. All we can control is the amount of moisture inside the structure. 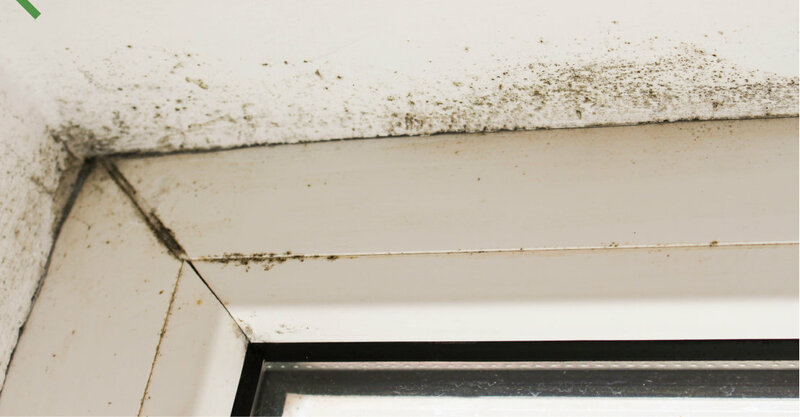 If the humidity level gets above 40% or higher, mold can grow. The higher the moisture gets the faster and easier it grows. Sometimes, mold growth can occur from a quick one time moisture or water event such as a flooded basement or a broken pipe. In these instances, the problem just needs to be fixed and the area dried as soon as possible to try to prevent mold growth. There are other instances where there may be a long standing defect in the building, which causes continual moisture issues. Examples being a leaky basement or poorly vented attic. In these instances, we look to remedy the cause and then remove the mold. We will frequently work in attics to improve venting, add in baffles, remove or install insulation, all aimed at helping to improve air flow through the attic to keep it try and mold free going into the future. In areas like basements and crawl spaces, we will work to keep gutters and downspouts working correctly, add in dehumidifiers, use masonry sealing techniques, all aimed at decreasing water and moisture. We have found in many crawlspaces, that they are lacking a moisture barrier on the floor of the crawl as well as proper venting. Our techniques are used to remedy these situations. For all customers, our mission is to keep the building mold free by controlling air, water and moisture.